We welcome a brand new sponsor this year for the 2011 Soque River Ramble: J-BO Burgers & Dogs. J-BO Burgers & Dogs is the newest addition to the Clarkesville restaurant scene and is the brain-child of Jeremy Miller, longtime resident of Habersham County. J-BO Burgers & Dogs’ concept is very simple: Serve burgers that you can’t get anywhere else. Some of the burgers on the menu have names like “Santa Fe Burger”, “Hawaiian BBQ Burger”, and “The Devil Went Down to Georgia”. 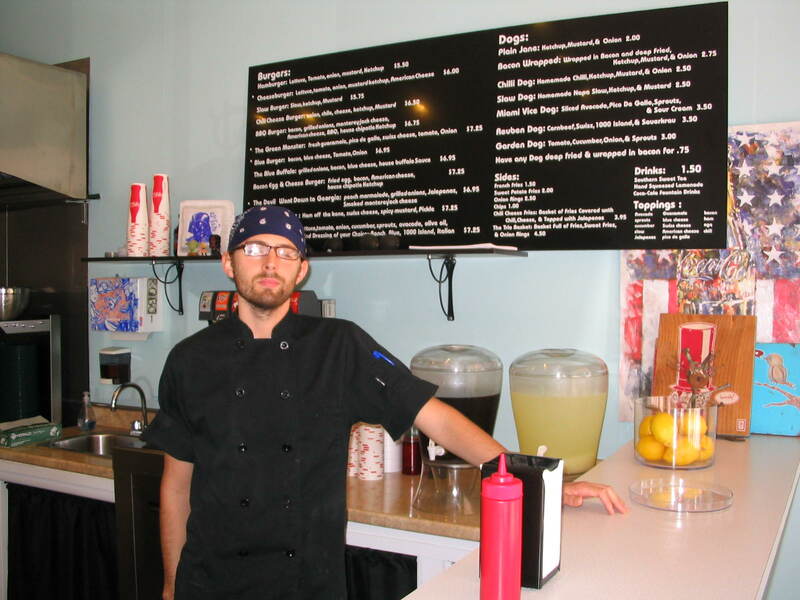 J-BO Burgers & Dogs offers a variety of flavors and condiments on their burgers and hot dogs. Beverages include Coke products, home made iced tea and lemonade made daily from fresh squeezed lemons. Restaurant hours are 11AM – 3PM Tuesday – Saturday. On Fridays J-BO is open until 9PM. Jeremy showed me a couple of comment cards recently left by customers. One card read “Best Burger Ever!”, while another read “Thanks for the great burger!”. 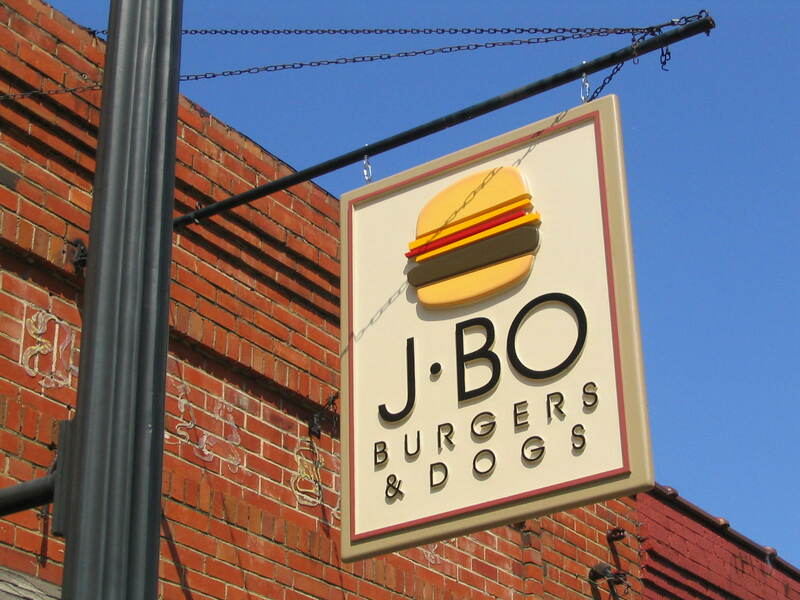 J-BO Burger & Dogs is located at 1317 Washington Street in Clarkesville, just south of the square and across from the Century 21 Office. Dine in or take out available. Phone 706.754.6351.